Augusta is a city on the central eastern border of the U.S. state of Georgia, and located at the fall line of the Savannah River, at the head of its navigable portion. 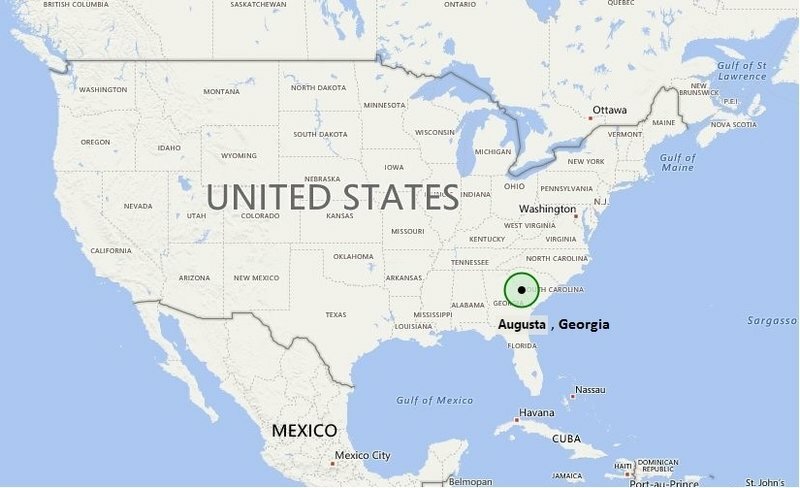 US Map showing Location Map of Augusta in Georgia. Augusta is located on the Georgia/South Carolina border, about 150 miles east of Atlanta and 70 miles west of Columbia. The city is located at 33°28′12″N 81°58′30″W. Waco has a population of 197,872 (According to 2012 US Census estimates) making it the third-largest city and the second-largest metro area in the state after Atlanta.